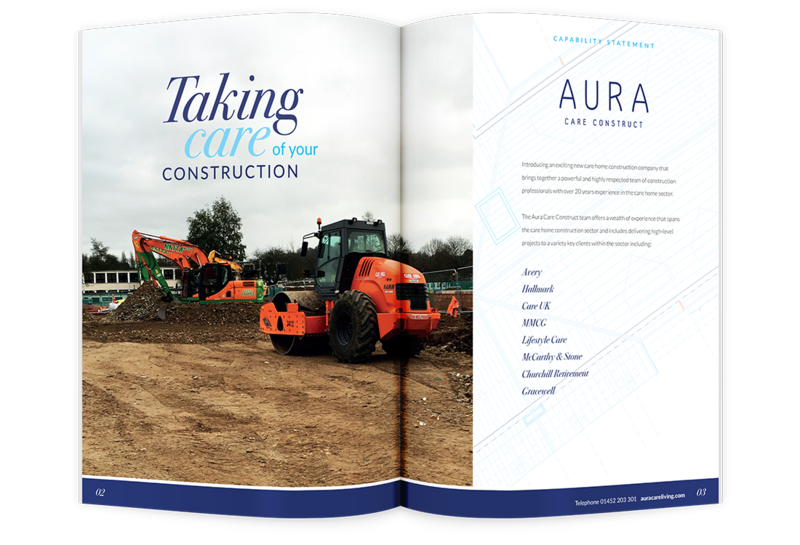 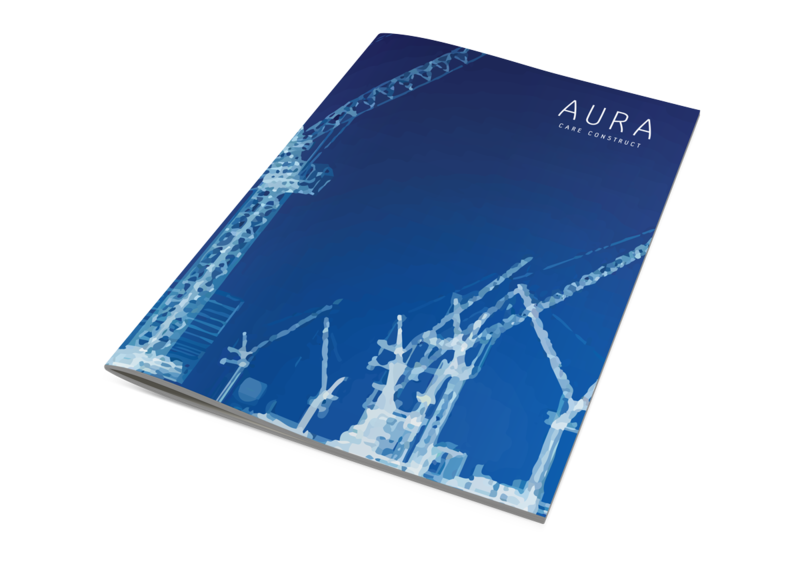 AURA has fingers in many pies – not only in building and designing luxury care homes and apartments but in the architectural planning and construction. 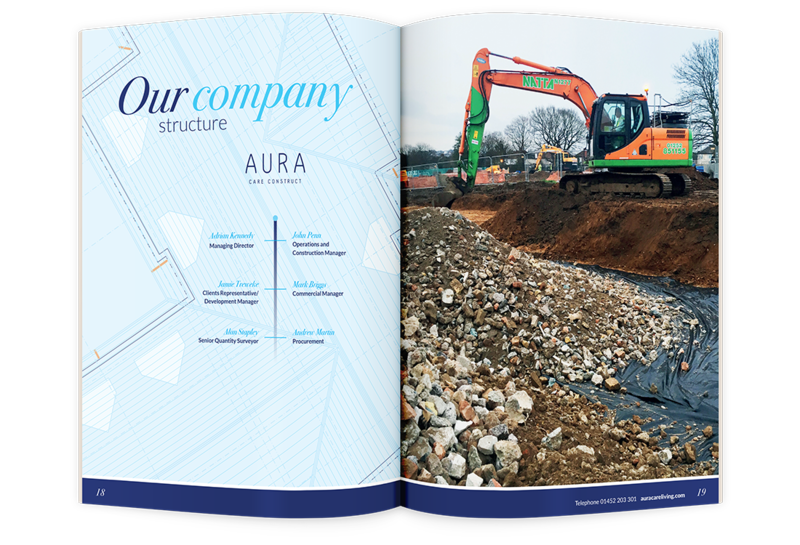 We were tasked in producing a corporate brochure which reflected there uniqueness within the industry and showcase their vision. 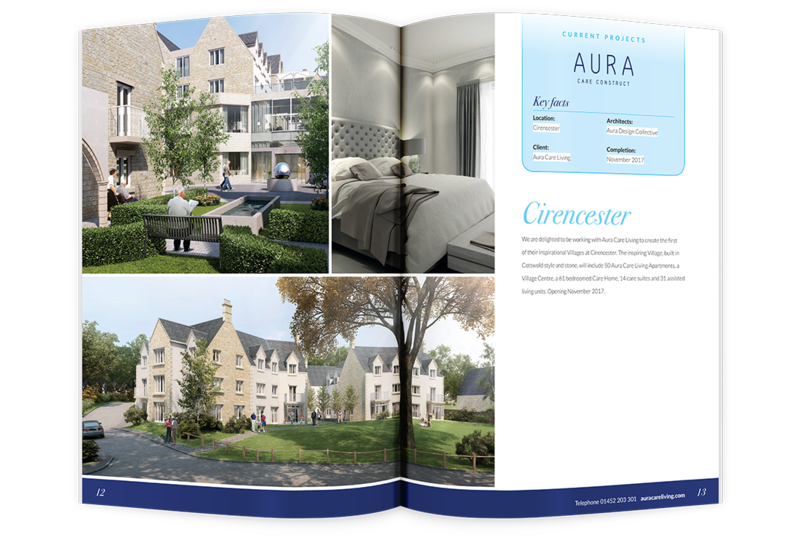 To give the brochure a natural and organic feel it was presented on an uncoated matt paper and saddle stitched.